What’s been more surprising thus far — Cal’s offensive struggles or defensive revelation? Christie Aguilar: Someone get defensive coordinator Tim DeRuyter a raise… or a better job. Cal’s offensive struggles have been impressively rough. However, I am pleasantly surprised with a defense that is improving week to week and is still never satisfied. I am waiting for a goose-egg performance from the defense, not because the offense needs it — it does — but because the defense is very capable of it. Josh Yuen: We knew coming into the season that the departure of Demetris Robertson would set the offense back considerably. 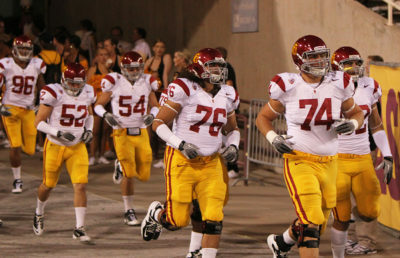 But with Patrick Laird and Kanawai Noa returning, I expected at least what we saw last season from Ross Bowers and co. The transformation to a run-heavy offense with multiple wrinkles has shocked me from day one, and with the way things are going, it’s tough to envision anything beyond a low-tier bowl appearance — if that. Shoutout to Tim DeRuyter’s defense, but the offense receives a “C” grade, at best, to date. 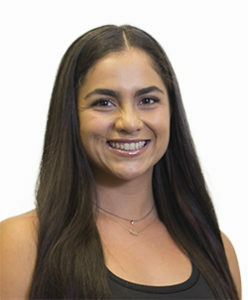 Sophie Goethals: Sadly, my astonishment about Cal’s lack of a cohesive offense trumps my surprise about nearly everything else that has happened so far this season. Sure, I wasn’t expecting one of the Bears’ three QBs to magically transform into a gunslinging college version of Drew Brees, but I was not expecting the turnover rate to be this high — or the pass-completion rate to be so low. With a solid core of returners on the offensive docket, I was not prepared for anything like this. Andrew Wild: It’s not that surprising that the offense has been abysmal with Ross Bowers not having played since the first half of week one. Bowers’ status as benchwarmer despite the team saying he’s healthy is a complete shock. (Head coach Justin) Wilcox, DeRuyter, and (defensive backs coach) Gerald Alexander’s overhaul of the abysmal Cal defense taking consistent hold so quickly continues to be a marvel. Turnovers and penalties were two of the biggest reasons why Cal could not put Arizona away. What needs to get cleaned up first? CA: You can’t be competitive in the Pac-12 with a bad case of the turnover bug, because far too often the opposing team is going to capitalize on the mistake. Yes, the penalties were sloppy, but the turnovers were what killed the Bears’ tempo every time they were driving downfield. JY: Brandon McIlwain will improve — he’s got more upside than former Cal starter Zach Maynard, who exhibited a similar balance of speed and playmaking ability. Procedural penalties from the team’s most experienced group — the offensive line — however, are inexcusable, unacceptable, whatever words Wilcox uses in his postgame pressers. I’d argue that Cal’s 13 penalties for 115 yards cost the Bears just as much as the turnovers did against Arizona, and the loud crowd noises are just getting started. SG: Turnovers, easily. The Bears have been playing it fast and loose when it comes to holding on to the ball, and it’s cost them dearly. 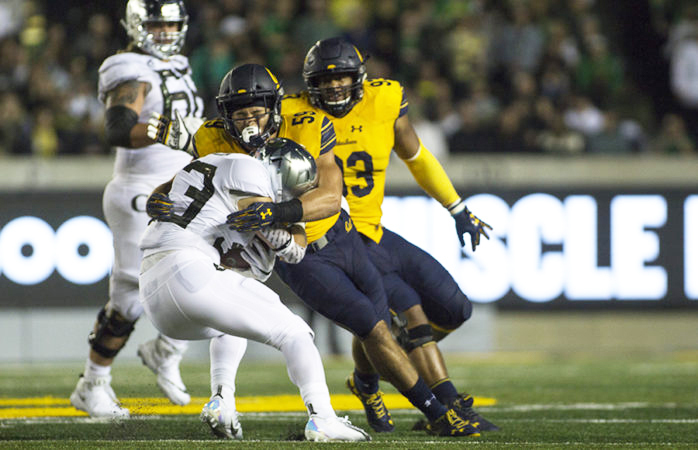 Cal’s two losses could have been wins — or at least closely contested games — were it not for sloppy turnovers that led to touchdowns for opposing teams. Turnovers are a one-two punch: Not only do you lose your chance to score, you also give your opponent an easy one. It’s got to stop if the Bears want to find success again. AW: Playing a quarterback whose primary skill is throwing the ball may help with the turnovers. Wasn’t there a pass-first quarterback who played a bunch last season? What do you make of Justin Wilcox’s aggressive play-calling so far this year? CA: I can’t imagine a world where fans, or players, would want a play-it-safe coach. Following the Arizona loss, every player stood by coach Wilcox’s decision to go for it on fourth and 1. Football is meant to be played aggressively, and the Bears have no issue with playing physically. Once — rather, if — they can mesh together that same hard-hitting play with consistency and execution, Cal could be in good shape. JY: During his first year, Wilcox’s aggressive style got fans to jump on his ship. It takes strategy and talent to win in this league, and I’m all for Wilcox rolling the dice offensively, especially with the way Jordan Kunaszyk, Evan Weaver and Ashtyn Davis have played this season. That said, points have been hard to come by, and I expect Wilcox to dial things back just a bit against the Bruins and Beavers — games the Bears will enter in as favorites. SG: Let’s be honest — playing it safe in any facet of life isn’t fun. The same goes for Wilcox’s play-calling. I personally love the bold and aggressive calls — the only problem is that I don’t think he’s got a disciplined-enough team to pull off some of the calls. That being said, they’ve got the potential to get there. I say keep going for it, Wilcox. AW: The most aggressive play-call of Wilcox’s career blew up completely in his face and possibly cost Cal a shot at a bowl game last year, and I couldn’t stand more by that call and all of his subsequent similar decisions. When playing Arizona at home last year, Wilcox decided to go for the jugular with a two-point conversion in double overtime when an extra point would have tied the game. It failed in a somewhat ugly manner and the Bears lost the game, but I loved the call in the moment, and every one since then has just been an extension of that philosophy, and my faith has followed. Name your starting quarterback, assuming all are healthy. JY: Brandon McIlwain. If Bowers can give it a go, he deserves a shot, though. SG: Brandon McIlwain — but this is by no means a resounding answer. AW: Does everybody here have memory loss? Ross Bowers! Last year’s offense wasn’t a beauty, but the 2018 model is a joke. Christie Aguilar, Josh Yuen, Sophie Goethals and Andrew Wild are the 2018 football beat writers.